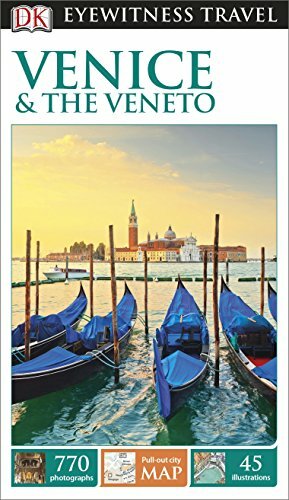 Venice & The Veneto by Susie Boulton and Cristopher Catling acquaints Eyewitness Travel Book Series readers with northeast Italy’s unique region and World Heritage Site city. • information on admissions, communications and media, customs, documentation, electricity, etiquette, health and safety, imperial/metric conversions, public conveniences, specialty travel, taxes and tipping, tourism, and transportation. skiing from Cortina d’Ampezzo resort. visits to Bolca, Bosco Chiesanuova, Giazza, Grezzana, Montecchio Maggiore, Sant-Anna d’Alfaedo, Valdagno, and Verona. Italy contributes a myriad of exquisite castles and palaces to a fairy tale tour of European castles. preserving ancient northeast Italy’s architectural, artistic, culinary, literary, and musical past. transportation through 150 canals, of which the most famous are Canałasso (“Grand Canal”) and Ponte dei Sospiri (“Bridge of Sighs”). San Polo e Santa Croce. Isola di San Giorgio Maggiore (San Giorgio Maggiore Island), lying south of main island group, is part of Venice's sestiere (district) of San Marco. Features unique cutaways, floorplans and reconstructions of the city's stunning architecture, plus 3D aerial views of the key districts to explore on foot + best hotels, restaurants, bars and shops for all budgets + free pull-out city map. Boulton, Susie; and Catling, Cristopher. 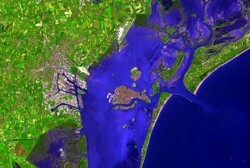 Venice & The Veneto. London, England, U.K.: Dorling Kindersley Limited Eyewitness Travel Series. Candy47, It's a pleasure! One of my favorite ways to view a country is through garden tours! Thank you for taking me on this lovely tour on a Saturday morning! 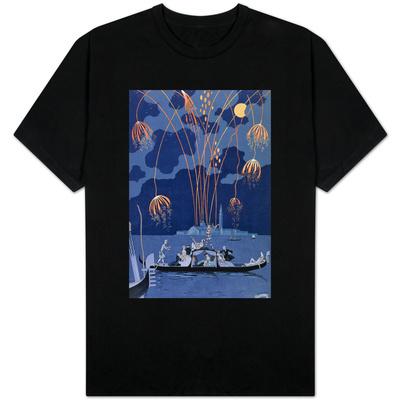 Gondola by mystery writer Donna Leon brings together a CD of Venetian folk music and pages of informative text on gondola origins and uses and relevant 14th to 18th century art.